#1 Provider of Programs & Events with LEGO® Bricks in Melbourne! Your students will step into a creative new world each class as they explore their world through our Play Based Program using LEGO Bricks, Technics and Robotics, all correlated to cross-disciplinary curriculum objectives. From day one, you can be assured that your students confidence and engagement will soar as they are embraced by a culture that builds community and team work. Bricks 4 Kidz students learn that they share, that each voice brings value and each person is to be respected. One brick at a time, we are committed to helping your students build the kind of character that lasts a lifetime. Click here to learn more about our School Incursions. School Holiday Activities and Workshops: Fresh fun in Melbourne! Begin their journey of creative expression and fostering an appreciation of how things work with our School Holidays Workshops. Designed to assist in developing social and emotional skills such as patience, teamwork and communication in a playful and imaginative setting where initiative is invited and self-expression is celebrated with their supportive and like-minded building buddies. By constantly building on a solid foundation not only does their chance of reaching their potential grow, they also internally grow; develop critical thinking skills, while building strength, confidence and character. Themes include; Robotics & Coding, Mining & Crafting • Top Gear – Remote Control Mania • Advanced Tech Challenge • Star Wars Space Adventures • Robotics • Movie Making • And more! After School Workshops: Learning and Fun with LEGO®Bricks and Robotics! 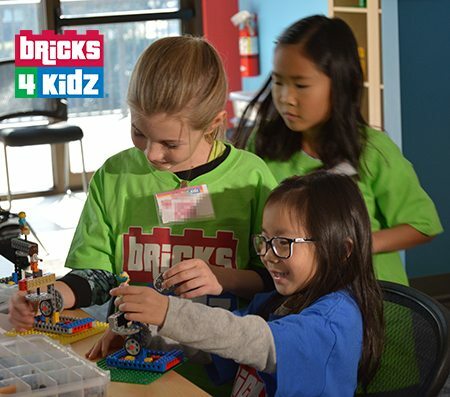 BRICKS 4 KIDZ after-school classes build on the universal popularity of LEGO® bricks, Technics and Robotics to deliver a high quality of educational play. This is a hands-on 45 min class where students construct a new model each week based on exciting themes from Space to Sports, Amusement Parks to Animals. 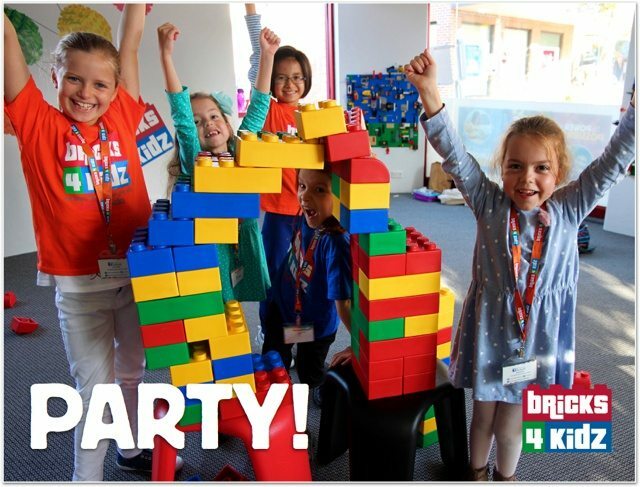 The BEST LEGO® Birthday Parties and Events in Melbourne! The smiles from your child and their friends on one of the happiest days all year. The thrill of building their favourite characters with all their friends. The crazy picture with all their friends and their creations. 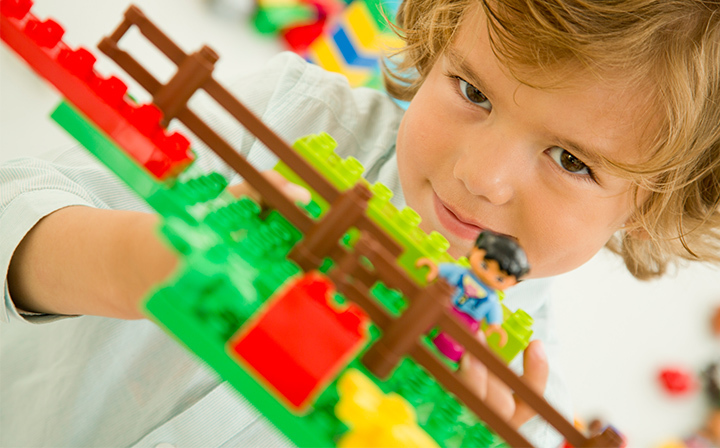 These are some of the memories that each young LEGO® enthusiast cherishes. We love being a part of these precious memories and look forward to creating those special moments with your young LEGO® buddies. A LEGO® brick building birthday party is the most popular choice in Melbourne for an extraordinary event your child will ALWAYS remember – and ours are the BEST! We can come to you or host the party at the Caulfield South Community House Inc.
Every session is a new adventure! Whether building a Space Ship to a Princess Castle, our Budding Builders are taught to build using their imagination and natural need for creative play using the LEGO Bricks they love. Our instructors masterfully engage each child and inspire design thinking processes and spatial intelligence to heighten brain development and motor skills. Watch your preschooler’s eyes light up as they dig into a pile of brightly coloured DUPLO® bricks! Engaging models based on the ABCs are the building blocks of our BRICKS 4 KIDZ® preschool curriculum. Learn more about our Pre-school Classes. All payments are in AUD. Payment is due prior to commencement of the program and can be made via Credit Card or direct deposit. All bank details are detailed on the enrolment confirmation. If you prefer to pay cash on the day, please contact us beforehand to arrange this. Because spots fill up quickly, we will NOT grant any refunds requested on the day of the workshop or class. Refunds are ONLY provided if requested 24 hours prior to the workshop start date; in the case that a child is registered and a parent/guardian inquiries about a refund 24 hours to the workshop or class start date, Bricks 4 Kidz® will honour a 50% reimbursement of tuition.